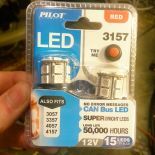 Hanging fluorescent GE t8 3000 K and 4100 KShawnslights02/22/19 at 16:59Lightingguy1994: Howcome some of the lights are not working Sylvania t12 34 watt Warm WhiteShawnslights10/08/18 at 16:13Lightingguy1994: I have a pair of these as well, certainly hard to ... Sylvania t12 34 watt Warm WhiteShawnslights10/08/18 at 14:11ace100w120v: Interestingly, I just found a Designer 3500K versi... Sylvania t12 34 watt Cool WhiteShawnslights10/08/18 at 00:15freekster0722: It's 1995 since there is no Hg symbol on it. 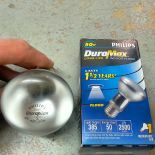 Sylvania t12 34 watt Warm WhiteShawnslights10/08/18 at 00:15freekster0722: It must be 1997 since there is no Hg symbol on it! 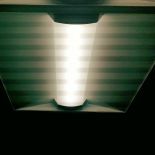 T8 fixtureShawnslights05/20/18 at 10:48Dan The Bulb Man: I wonder if this was once T12 Old fluorescent fixturesShawnslights05/20/18 at 10:46Dan The Bulb Man: That's really cool I love places like this!! 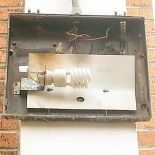 :... GE 60 watt RevealShawnslights03/09/18 at 11:33ace100w120v: The original box design! 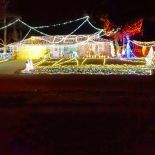 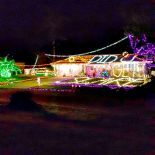 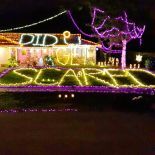 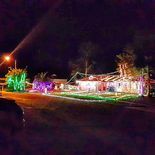 Christmas Lights display 2017Shawnslights12/30/17 at 10:55F96T12 DD VHO: Um two questions, how many amps does it pull from ... Christmas Lights display 2017Shawnslights12/30/17 at 10:19xmaslightguy: How many lights total?